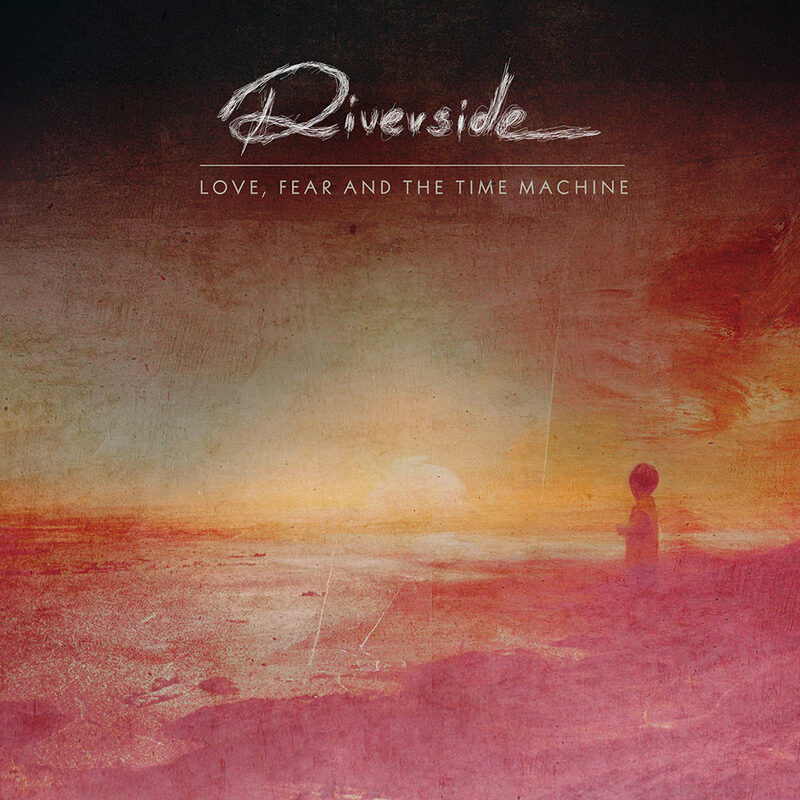 Riverside - Special 5.1 mix edition of "Love, Fear and the Time Machine" in July! We are pleased to announce the release of a 5.1 mix version of our current album "Love, Fear and the Time Machine" (2015). This special version will be released worldwide via the band's longtime label partner Inside Out Music worldwide on July 22nd, 2016 as CD+DVD Digipak with slightly modified artwork by Travis Smith. We are pleased to announce that Mariusz has guested on two April releases. The Russian duo Iamthemorning released their album "Lighthouse" on April 1st, and "Music Inspired by Alchemy" is released today. Watch the trailer of the latter below (and you will hear a familiar voice). 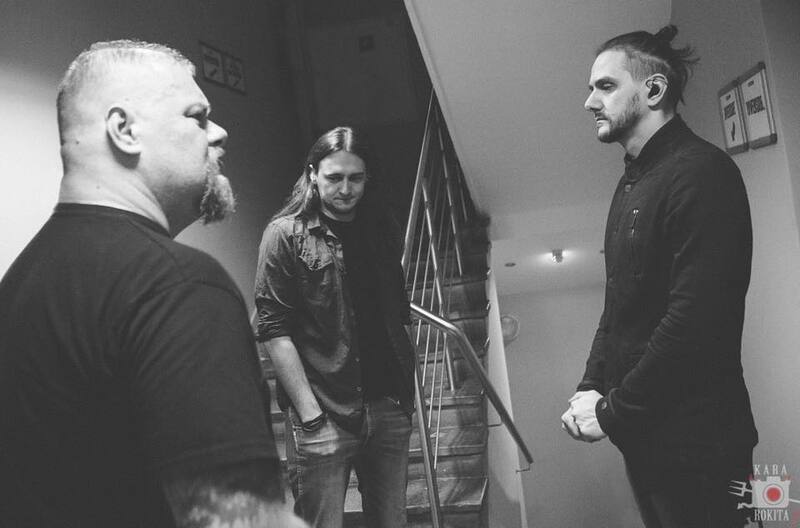 This picture was taken just before the last gig of the "Love, Fear and the Time Machine Tour 2015" in Stodola club in Warsaw. And this is exactly how we feel - bereft. It's been a month since Piotr passed away and we know that many of you are wondering about our future and our plans. In our statement we wrote that we had decided to cancel all concerts confirmed for this year and that hasn't changed, Riverside won't play any gigs this year. But we are going ahead with our other plans for 2016. Many months ago, before Piotr died, we made a plan to release one of our albums in 5.1 in the late spring/early summer of 2016 and a compilation of our instrumental tracks in the autumn of 2016. We also have individual plans and guest appearances with other musicians. Our biography has been in the making for over two years and it will be published towards the end of this year – we just didn't expect that it would contain an additional chapter and that its character would change. We’ve always been like a family, we have stuck together and always taken care of that bond both on and off the stage. We have also said many times that we have the best fans in the whole world. Our band wouldn't exist without you, without your commitment and all the emotional links that have been created between us over the years. Your reactions and support we have received from you have surpassed our most daring expectations. We'd like to thank you for that from the bottom of our hearts. Will Riverside survive? We'll do everything to keep it alive. For in this world full of cynicism and hypocrisy, constant instability and changes quicker than our thoughts, we'd like to create something solid and meaningful that's based on the most important values. We would like to create it with you and for you because, as it turns out, our family is much, much bigger. It's done. Collected. Combined. Over 100 minutes of music. MD: (...) "I had an idea to release a complementary album. An album in between. An album we had always wanted to record. It wouldn't be just new music but in our case and in such configuration it would definitely be a new quality because we hadn't released such an album before. For years, we have accumulated a lot of material, a part of which was released on bonus discs. I know that some of our listeners still haven't heard those pieces and do not realise that Riverside, basically right from the start, have been experimenting with ambient and progressive electronic music. And that's always been a part of our music DNA. (...) We decided to make a compilation of all our instrumental and ambient pieces, and release it this year as an independent album. Some of the songs would be re-mixed to make them sound better, but most of all, we'd add new compositions." I wrote "Towards the Blue Horizon" in honour of one of my best friends, who died in his sleep at the age of 44 shortly after Easter Monday in 2014. I couldn't even go to his funeral because I was on tour with Riverside at that time. I wasn't there to say goodbye to him, which made it all twice as hard for me. With his death, something died inside of me too. And I guess I finally realised more than I ever had before that life is more fragile than we think, that it ends just like that, in one brief moment. Time slows down and you stop running because everything that had been important loses its meaning in that one second. I realised that it was time to re-evaluate priorities in my life, to let go, start to breathe and enjoy life, enjoy however much of it I have left. I realised that it was time to open the cage, free myself from darkness, at least from the overwhelming amount of it, and try to find myself somewhere in the light. "Love, Fear and the Time Machine" was supposed to be like that, an album to help fight sadness, let go of fear and find fulfilment in something good. It was written as an antidote for pain and something to help you get out of bad situations, in which you feel completely lost at the beginning, but you know you have to go on, fight, persevere and, at some point, find your way again. The darkness has returned. The sadness has returned. It looks like I'm doomed to feel sad... I have to remember what it was all about with the fighting and persevering. I have to find myself on the other side, listen to and understand that album myself, just like I wanted it to be heard and understood by others. Before we started a new chapter, perhaps a "new trilogy", I had an idea to release a complementary album. An album in between. An album we had always wanted to record. It wouldn't be just new music but in our case and in such configuration it would definitely be a new quality because we hadn't released such an album before. For years, we have accumulated a lot of material, a part of which was released on bonus discs. 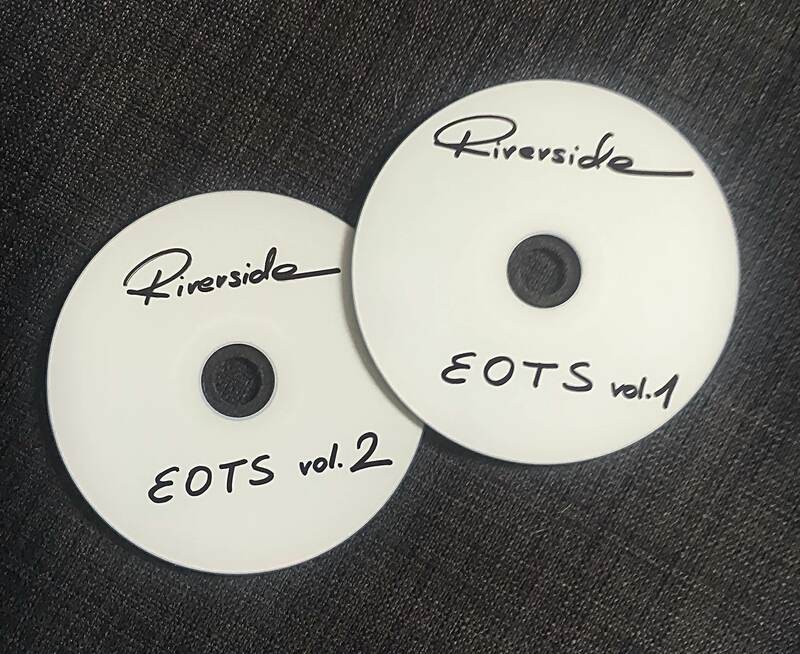 I know that some of our listeners still haven't heard those pieces and do not realise that Riverside, basically right from the start, have been experimenting with ambient and progressive electronic music. And that's always been a part of our music DNA. So I presented the idea to the rest of the band and the decision was unanimous. We decided to make a compilation of all our instrumental and ambient pieces, and release it this year as an independent album. Some of the songs would be re-mixed to make them sound better, but most of all, we'd add new compositions. At the beginning of the year, we locked ourselves in the studio and we started to compose. We even published a picture on our facebook page, in which Grudzień is holding a small keyboard as a joke. That was that recording session. We were working with smiles on our faces, genuinely excited, knowing that this time it wasn't just a bonus disc or an addition to something "bigger" but a fully fledged, independent release with that kind of music, full of space, trance, melodies and electronics. The day before I got a text message from Grudzień, "I really can't wait for this release, I have always had a dream for Riverside to release such an album." I still don't know when I will recover. I know that this year I will spend a lot of time in the studio and there will be a lot of new music. Difficult music. First, I want to finish what we started with Riverside. I have to finish these recordings. Piotr's birthday is in a few days. He'll be 41 on March 15th. I want to pay him a visit on that day and tell him that his dream has come true, that we have finally recorded his favourite album. Perhaps it would be easier to cover the world with a blanket, lock everything up and take a break from sounds, stop modifying them, let them fade and then drown in silence. Perhaps. But let me recall the words I keep hearing in my head. I don't remember who said them but they seem to be perfect for this occasion. "I am afraid only of silence because that's when the heart dies." I cannot drown in silence. That would be the worst thing to do now. It's not what I was made for, it's not my calling. We have come back to the studio. On the first day we only talked. On day two we held our breaths and opened all the tracks. What we're doing now is like an open heart surgery. We keep thinking that Grudzień will enter the door at any moment. He'll say he's sorry he's late but he had something important to do. We're talking about him. We're talking to him. We're telling him off for not having finished all his parts and he's laughing and apologising that something got in the way. We'll finish this album, Piotruś. I will have the burnt disc ready on your birthday. The light in your eyes and the smile on your face when we talked about it, I had not seen you like that for a long time. So please, don't hold it against me, but I've decided that we will dedicate it to you. On behalf of the family and our own we would like to thank everyone for the support and your presence in those difficult moments. Piotr passed away unexpectedly of natural causes (sudden cardiac arrest) on Sunday morning (21st February). We have remained with emptiness and open wounds which need time to heal. For obvious reasons we have decided to cancel all concerts confirmed for this year. At the same time we would like to inform you that we are going to carry out this year releases scheduled for late spring and autumn 2016. In our deepest pain and disbelief we would like to inform you that our dearest friend and brother Piotr Grudzinski has passed away this morning. We kindly ask you to respect the privacy of his family and friends. ', and this is just the beginning of surprises we have prepared for you in 2016. We have planned new releases, another videoclip, but first of all - the new gigs. At the very beginning of April we are starting another tour during which we will play songs from the new album and... something old. 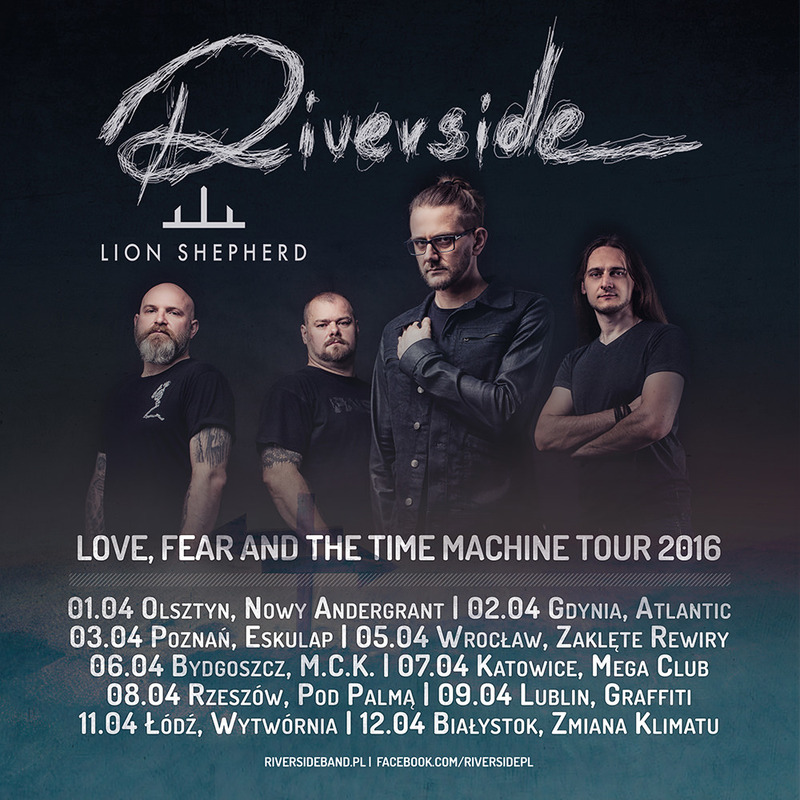 We are pleased to announce that in early April 2016 we start with a continuation of the Polish edition of the tour, "Love, Fear and The Time Machine". Below a list of confirmed concerts. See you there! Tickets 60 zł (presale), 70 zł on the day of the concert. Avaliable in clubs and internet sales. Our latest album 'Love, Fear and the Time Machine' is out now! Check out the stunning new video for the albums closing track 'Found (The Unexpected Flaw Of Searching)'. Did you listen to the whole album? Did you like it? Check out our new "Time Machine" trailer. “Love, Fear and the Time Machine", the band’s sixth studio longplay album will be released via Inside Out Music and Mystic Production on September 4th, 2015. Check out our new trailer for the upcoming studio album "Love, Fear and the Time Machine", which is set to be released on September 4th, 2015 via Inside Out Music and Mystic Production. The pre-sales for “Love, Fear and the Time Machine" are beginning TODAY in Europe and North America. Check here for details and all available physical formats or bundle options with a shirt: http://smarturl.it/lfattmINOshop! Music from "Day Session" (available on 2CD Mediabook edition). The vinyl edition of our new album will contain CD format and one bonus track. More preorder links soon! 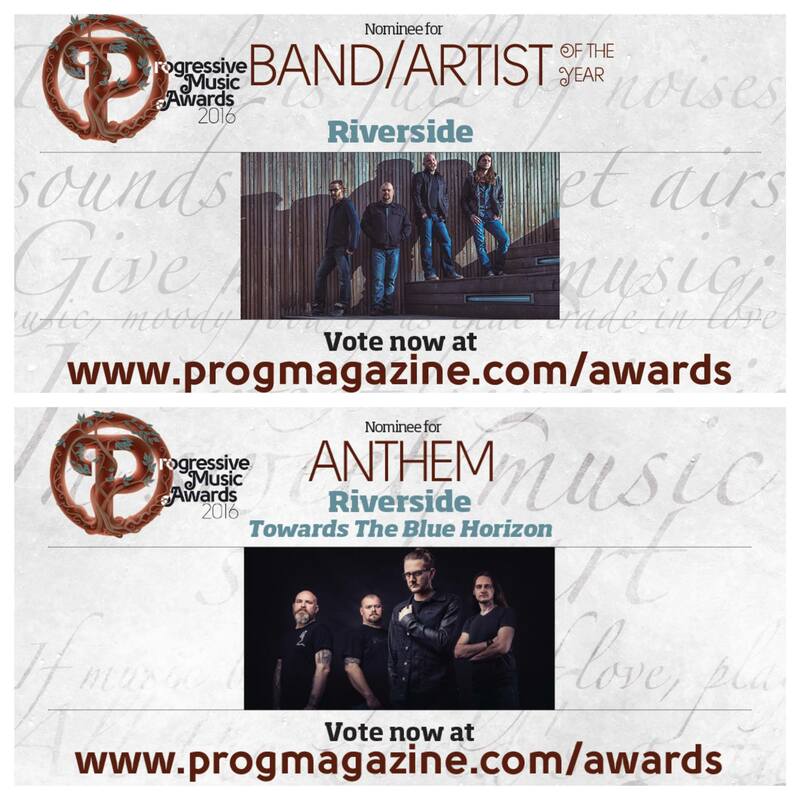 "Love, Fear and the Time Machine is Riverside's sixth studio album. Arguably the band's most mature work, the album sees the band return to the melodic and atmospheric Progressive Rock stylings of its debut Out Of Myself. Double heavyweight vinyl edition (with CD) presented in a gatefold cover." Hello Everybody! Check out our first trailer for the new album "Love, Fear and the Time Machine"!